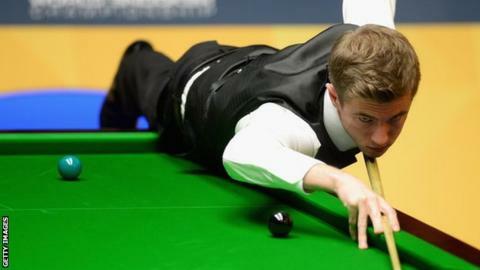 Jack Lisowski said he found it difficult to keep focus after bowing out of the UK Championship against a player ranked 32 places below him. Lisowski, the world number 48, led 3-1 against David Grace. However, Grace dominated a scrappy third-round match at the York Barbican following the mid-session interval. "It was the same as last year; I won my first two games in the hall and it's totally different playing in the main arena," the Gloucester potter said. He added: "The tables are more reactive. There is a lot more going on and I was struggling to concentrate." Lisowski, who beat Zak Surety in the first round and then saw off former world champion Graeme Dott by a 6-5 margin in round two, had no complaints about his defeat, but was "gutted". "We sort of dragged each other down," the 24-year-old added. "It wasn't a very high-standard game. Dave played better than me in the last section of the game, so good luck to him. "When I am playing well, my game is looking like it is maturing, so I still think I can do some good stuff this season. "There are a lot of positives for the rest of the season but I am just gutted with how today went."